F-22 Raptor coming out of a dive right at us. 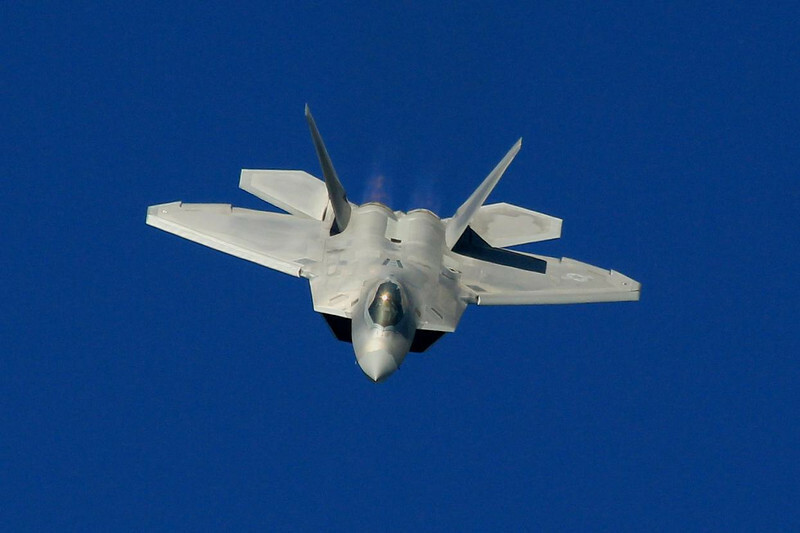 The first run of F-22's was 187 airframes. They had a total cost of $67.3 billion based on public information totals, or about $359 million each. The Pentagon says the first 187 only costs $137 million each. Don't you love governmental math? This is a spectacular view of the F22 flaimin' toward you.